Brandon from Idaho sent us in this picture of his Jeep. Thanks Brandon for the great picture and stay tuned for a new promotion coming soon! I love red Jeeps. Actually, I love red vehicles period. My Dad told me that red cars get more tickets than any other color. I think he’s just trying to scare me. 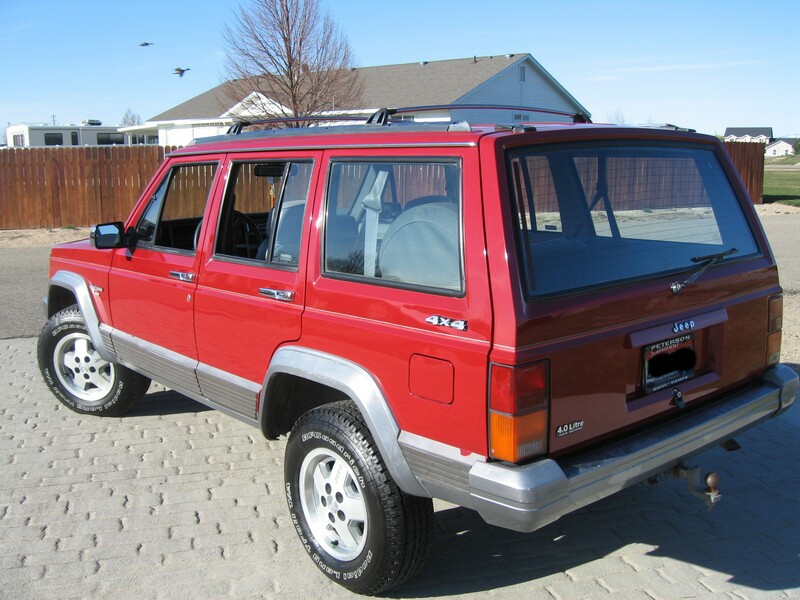 I’m saving up for a Jeep down payment and it is going to be red. I’ll just have to watch that right foot of mine. It tends to get carried away with itself and it doesn’t care what color the vehicle is! That’s a really nice looking Jeep. A little tame for my tastes though. It looks more like a family vehicle. Not that there’s anything wrong with that. I just like the boxy sport Jeeps the best. That’s a nice looking vehicle but it’s not what comes to mind when I here Jeep. I’m a Wrangler owner from the 50’s on and I spend most of my time off road. The rougher the road, the better I like it. That looks a lot like my mini van and not something I would drive off road. I guess looks could be deceiving. My little Wrangler reminds me of Herbie, always ready for a little adventure. I’ve never seen one of these models off road and I was wondering if the wheel base is too wide to allow it. I hear ya Larry. I swear sometimes that Jeep calls me to action. I love camping and I love driving the extreme off road paths. The Jeep is always packed and ready to go at a moments notice. I try to hit several of the bigger events across the US too. They are always great fun.